YouTube prankster Big Daws normally makes prank videos were he's doing something hilariously silly, like eating junk food at the gym, but this time he wanted to do something completely different. 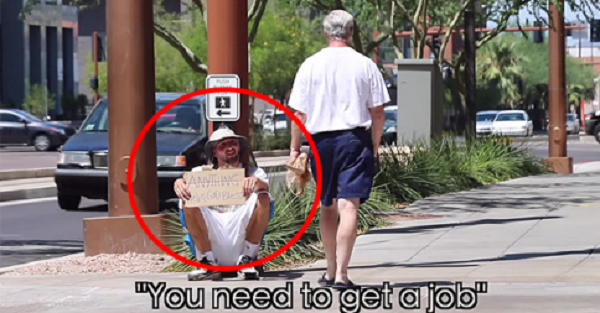 He decided to dress up as a homeless person and conduct a social experiment. He stepped outside the box by giving $20 to every kind stranger that lent him a helping hand, because what better way is there to give back than actually giving to people who give. The reactions from some of these people were truly priceless. What an awesome way to give back to those who are trying to make a difference in this world, be it in a big or a small way.